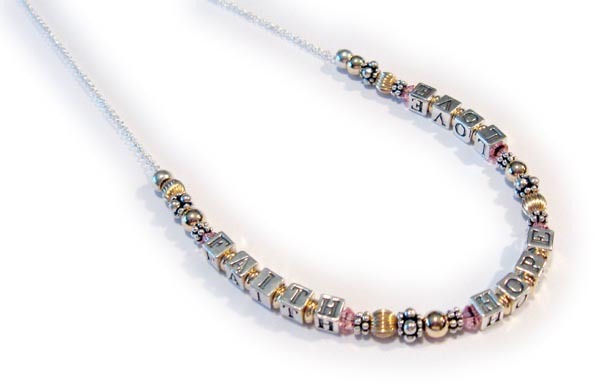 Faith Hope & Love Bracelet is made with 4.5mm sterling silver alphabet block letters with gold beads in between the letters, 4mm bicone Swarovski crystals, and sterling silver Bali beads and14k gold beads. Shown with an upgraded 14k gold plated lobster clasp. 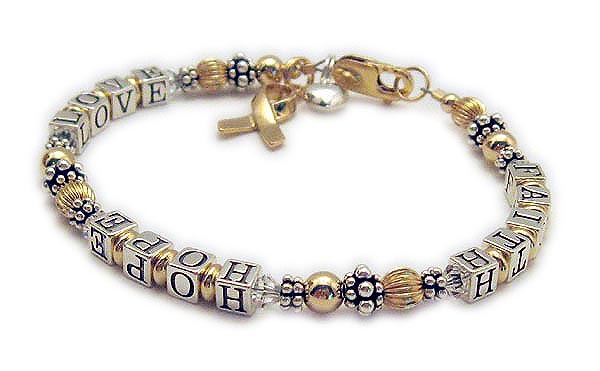 This Faith, Hope and Love bracelet also comes with a 14k gold plated ribbon charm. Optional heart charm is shown. Swarovski Color Options: Space is limited, you may email me with special instructions, after you place your order(s). shown with sterling silver block letters and optional Puffed Heart Charm and 14k Gold-Plated Lobster Clasp. 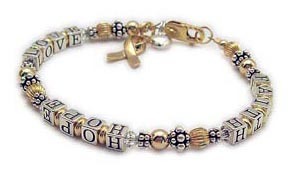 This FAITH HOPE LOVE bracelet is shown with 14k gold-filled beads and clear Swarovski crystals before and after the words. The sterling silver alphabet blocks are approximately 4.5mm. You get to choose the color of the crystal dangle. Clear crystals are shown. The gold-plated ribbon charm is included in the price, the sterling silver puffed heart charm is optional. This one is shown with pink crystals. If you order this necklace online it will come with clear crystals unless you specify another color. 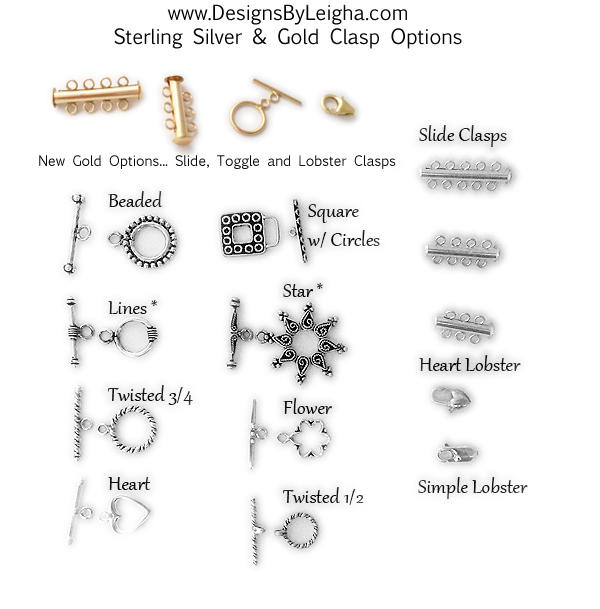 A necklace will come with approximately 7" of beads on a sterling silver necklace chain.